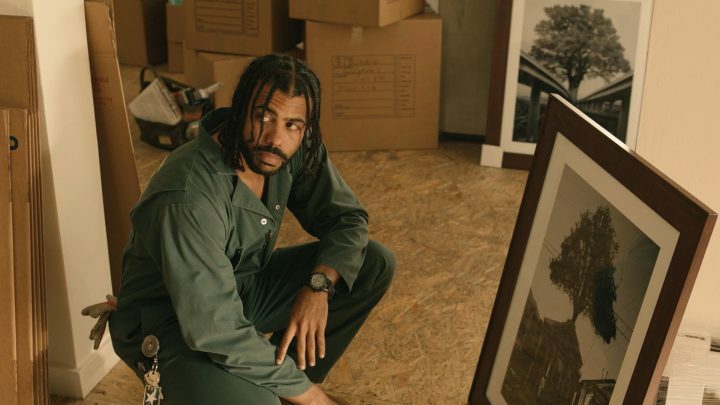 I haven’t been able to keep Daveed Diggs’ face out of my head ever since I saw his performance as Collin in Blindspotting more than three weeks ago. It’s the face of a man taking it all in, processing what he sees, coming to terms with it. It’s the face of a man in shock who realizes, after his best friend’s child raises his hands and yells “Don’t shoot, don’t shoot” followed by gleeful laughter, that nothing ever changes. It’s a face that occasionally breaks into a beautiful, radiant smile. It’s a face full of determination, defiance, even as the world is changing around him, his friends and neighbors driven out of the neighborhood by a new form of conquest and colonialism called gentrification. It’s the face of a ticking time bomb that could explode at any moment, the face of an African-American man who has been denied his humanity and dignity. That the Tony-winning actor —for his performance as the Marquis de Lafayette and Jefferson in Hamilton— can communicate such a cavalcade of emotions and feelings in just 90+ minutes is not only a testament to his talent, but to the complex nature of Blindspotting, the film he’s been working on for 10 years with best friend and fellow spoken word artist Rafael Casal. Blindspotting is the second of two Oakland-set films to open nationwide this month after Boots Riley’s anarchic and much needed Swiftian satire Sorry to Bother You. Both, in a way, owe a debt of gratitude to Black Panther director Ryan Coogler’s feature directorial debut Fruitvale Station, the true story of a black man gunned down by an Oakland police transit officer on New Year’s Day 2009. Fruitvale Station felt grounded, Coogler gave you a great sense of what made Oakland and its inhabitants tick, of the racial divide at its core while holding a mirror to the rest of the United States. That is also true of Blindspotting and Sorry to Bother You. Except that Riley (in his feature film-making debut) and Diggs, Casal and director Carlos López Estrada (who is also making his feature debut with Blindspotting) are painting on a larger canvas. 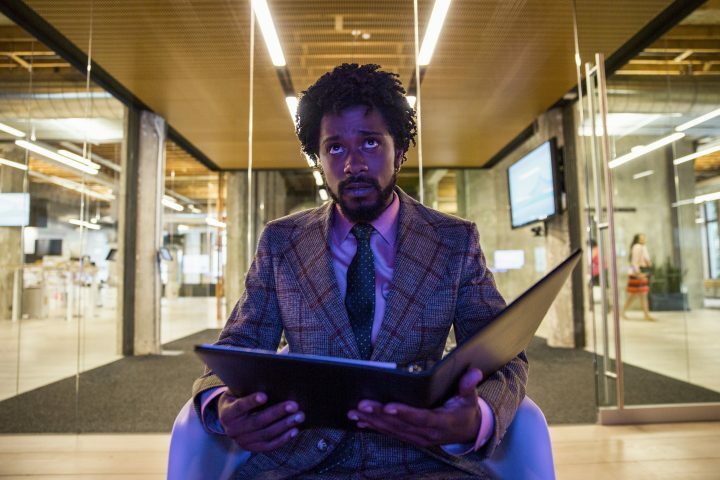 Sorry to Bother You opens with one of the most hilarious job interviews in the history of cinema as one Cassius Green (Atlanta’s and Get Out’s Lakeith Stanfield) applies for a job at a telemarketing firm, fake resume, trophies and certificates in hand. Cassius is hired on the spot and just in time since he lives with his girlfriend Detroit (Tessa Thompson), a multimedia performance artist with a penchant for politically motivated earrings, in his Uncle Sergio’s garage to whom he owes three months’ rent. On his first day on the job, Cassius notices an elevator used only by the company’s top telemarketers (one of the film’s neat conceits is that we never exactly know what these men and women are selling over the phone). Encouraged by a co-worker to use his “white voice” to close those sales, Cassius discovers his innate talent, his voice sounding just like David Cross. As a result, his sales go up and so does his career. Cassius gains access to that elevator and the company’s top echelon as he becomes the second African American man to be promoted in the company’s history. Just as his star begins to shine, his co-workers organize a strike forcing Cassius to cross the picket line and be assaulted with a Coke can, which turns him into an immediate viral sensation. His drive draws the attention of the company’s CEO, tech bro Steve Lift (Armie Hammer in a magnificently smarmy, doped-up performance that mocks every tech guru from Steve Jobs to Elon Musk). The film flies off the rails once Cassius discovers Lift’s ultimate plan for the company’s minority workforce, leading to a denouement that earns the film its Swiftian credentials…and no, I am not referring to Swift’s A Modest Proposal. Sorry to Bother You is a film overflowing with ideas and imagination. Even when some of these ideas and conceits don’t quote work, one should not belittle Riley’s ambition, his sheer ideological chutzpah and his courage, especially at a time when every single American independent film suffers from an unbearable and boring sameness. His ear is finely tuned to the banalities of corporate speech —“You are not employees, we are team members,” proclaims one cheerleader in one of those annoying “team boosting” meetings employees are occasionally forced to endure—cultural appropriation and stereotyping (e.g., the scene at Lift’s house where a bunch of white partygoers scream “rap!” at Cassius because, you know, that’s what black men do). Riley is unafraid to turn our laughter into something more discomfiting and unnerving as he drops his antihero deep into the rabbit hole. Sorry to Bother You, like Blindspotting, addresses, among many other themes, the ravages wrecked by gentrification and the tech industry over Oakland. Blindspotting, in directly confronting gentrification, does for that city what Spike Lee did for Brooklyn in Do the Right Thing almost three decades ago. Blindspotting is, at its core, a buddy movie, those buddies being Collin (Diggs), who has three days left on his probation, and Miles (Casal) his half-white, half-Latino fast-talking and extremely volatile best friend. They work for a moving company and as such are our tour guides through this changing city. In one poignant scene, they are both sent to clean up an abandoned house recently acquired by a perky real estate agent; as he walks around the house, Collin picks up a family album and flips its pages, sadly staring at the images of the family that used to live there. Collin, for obvious reasons, has to lay low, play it cool; any transgression, no matter how trivial, could land him back in jail. Even though he’s grown in a black neighborhood and is immersed in its culture, Miles is oblivious to the fact that his white skin makes him immune to any trouble he may cause Collin. Especially when he buys a gun to protect his family and begins wielding it in front of his best friend. Miles hates hipsters and what they are doing to his city, a hatred that ends in violence during a party at the house of a young tech entrepreneur on Collin’s last day of probation. Gentrification is not the only thing in Collin’s and this film’s minds. Early on, as he is headed to the halfway house he currently lives in, the clock ticking away to the beginning of his curfew, Collin witnesses a police officer shoot an unarmed black man in the back. He knows he can’t report what he saw; he’s a felon so no one will believe him, much less the police. The incident torments him in dreams and nightmares. It ramps up the tension because, from the first moment you see Collin on-screen, you fear for him, you understand the bind he is in, you know he will get the short end of the stick. Yet, life goes on and that’s what makes Blindspotting unique. It confounds expectations. Just as you expect the movie to head in one direction, for a scene to end in a specific way, Diggs and Casal pull the rug from underneath you. That police shooting, gentrification, the daily 9 to 5 grind, getting a haircut, going to a party, spending quality time with your best friend’s kid, trying to win back your ex-grilfriend…they are all part of a mosaic called Oakland. Because it is written in both traditional prose and rhyme, I came close to calling Blindspotting, The Two Gentlemen of Oakland. Diggs and Casal share with Shakespeare an excellent ear for the musicality of the spoken word regardless of the form as evidenced in Collin’s final rhymed monologue, a tour de force that feels like a slap in the face. Listening to this dialogue is as pleasurable as Estrada’s and Director of Photography Robby Baumgartner’s vibrant images. Images that remain indelible in your mind weeks after first encountering them, just like the ones created by Boots Riley in Sorry to Bother You. Some critics have lamented that both films’ politics are too on the nose. I would argue that given the times that we live in, when white supremacy is rearing its ugly head and children are being separated from their parents once they cross the border, when tribalism is rendering society apart, that there is no room for subtlety. That these times call for art that leaves you uneasy, that is confrontational. Blindspotting and Sorry to Bother You certainly fit that bill.